Leave a comment telling me which one of the La Pashe Decoupage is your favourite and why you can see the full range here. If you have a blog leave a link to mine on it for the chance of others to win. You have until Sunday 28th June 2009 at 6pm to add your comment. The draw for the winner will be announced on Monday 29th June 2009 at 6pm. Be sure to leave a comment that you will know is yours as there could be several people that share the same name as yours. Mine is the flippin teenagers and the one I like best is the bay city roller teenager as this is my era. I love the Remember when series in sepia and the new teenagers best... hope to see more of the RW series in the future. Hahaha, Have an Ice Day is my favourite because I have a picture of my son in the exact same pose. Ice cream all over his face, sitting on a little stool. I like the flippin women best Jak, I know so many people they remind me of. I really like all the Flippin' series. But I have to say that the Flippin' Women exercise ones are my favs. They really make me smile. I love Flippin Puddles the best. Reminds me of my Christopher. I think I like the remember when series best, takes me back to my childhood and before probably! I also love that flippin man on the toilet! The Remember When Christmas decoupage packs are my absolute favourites. I made the most gorgeous scenes for my cards last Christmas using the doors/ fire and tree scenes. This year, I'm going to use the toy shop and also the snowman. I love the flippin series! I think they are flippin cool. 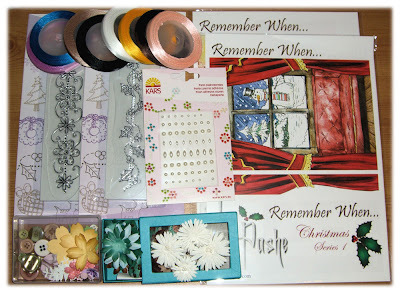 I like Remember When Decoupage! I like most of them but my favorites are the 1 trains, 2 airplanes and then sepia remember when 3 and 4. I like the trains because they are my step dad's favorite theme and i use trains for birthday..etc cards. The sepia remember when are begging to be added to something..
My favourite has to be the flippin teenagers! you look at them and you think of someone you know immediately and they take me back to so many fond memories such fun! Hi there, I love the Flippin Women crafter. Is just like my Friend and made up into a fab fun card for her birthday. Flippin' Women for me Jak, I can think of so many ladies that they are suitable for! Thanks for including me in your draw. I love your whole range but my fave has to be the Flippin' Teenagers, I can think of people for every single sheet. my personal favourite is the flippin peace from the flippin men set.It can be so hard to find good images for mens cards,especially ones that they will actually appreciate! Dressed to Imp-press is my favorite. It reminds me of when I was a child and dressed up in my mothers clothes. What a wonderful memory you have given me. My favs are the flippin men. We have a lot more chaps than lasses in our family and I can alway find an appropriate 'man' to fit the occasion. The flippin rocker is funny .I post link to my blog. Hi Jak, thanks for the opportunity. My favourite are the flippin men. I was asked to make a card for a friend whose Dad is terminally ill. She couldn't find a card for the situation because he isn't getting better. She told me a little about him and added he had a sense of humour. I made the man on a toilet card. He absolutely loved it and even more that many others commented on it while he's in the Hospice. This is why I love making cards for others. Link is added to my blog. Debbie M.
Oh, I love them all, so clever. I really like the 'Remember When Series 2'. So cute and detailed. I have posted a link on my blog...great candy. Thanks. They're all so neat but I'd have to say I like the "Trucks" one since my husband works at a coal mine that uses all that equipment! Very cool! I love the Flippin' Teenagers especially Flippin' Roller, it reminds me of carefree times when I was a teenager. All the La Pashe range is brilliant, they stir so many memories for so many people, all I can say is keep them coming Jak. It's flippin diet for me - How come grapes count as one of your five a day but wine doesn't?. Keep up the good work! I really love the Remember When series as they remind me of the tales my Grandma and my Mam told me. And I think they also keep the past here for us to see and so it's not forgotten. I've put a link to your candy on my blog. I'm a follower anyway as I like to see all your wonderful creations. How can we decide which is our favourite?...think it has to be the "Remember When.." though. Love all the La Pashe actually. Thank you Jak for the chance to win some great candy. I've got to go with the Flippin' Kids series, especially the Flippin' Little Monkey! I have so many friends who have kids and appreciate the cuteness of those designs in general. The Flippin' Little Monkey reminds me of my sister, back in the days when we used to hang upside-down on the monkey bars - she's definitely getting a Little Monkey card for her birthday this year! I will have to go with the "Flippin' Men". I just get a kick out of the way the men are portrayed and I sometimes joke to my husband that this is how I see him in about 20 years. I love the Crafting Sheet as it looks just like my work desk and the piece of paper on her bottom reminds me so much of me trying to find that one 3d piece which has gone missing. Mine Fav has to be the flippin teenagers. Fav one is the teddy boy. Reminds me of my dad. And he would have loved it as a birthday card if he was still with us. Bay city rollers one is my next fav, And I will be making a card with that one for my Aunt as she was a BIG fan of them. I love the Remember When Series, probably because I Do remember when. My second favorite is the Flippin Women range and finally the Flippin Kids. The teens are wonderful,I can't wait to use them. I have to say flippin' teenagers has to be my favourite, there is one there for every era. I like the Flippin"Women, all of them... and I do like your artwork! TFS and having this great blog candy! Hugs always! I love the 'Remember when' series which make me feel quite nostalgic and bring back many fond memories. The pit head scene - I used to stay with my auntie and often played in the pit yard (not allowed). Also the train scene - my father was an engine driver and originally drove steam trains - he used to take me to the loco to see these – the boys in my school class were quite envious. Oh Jak it is soooo hard to choose a favourite!! They all have great themes and are just so suitable for all occasions. I think I probably use the flippin women the most - all the characters look just like my mates, lol, and I have been able to make some great cards that have been really appreciated and 'wow'd' over. The blog candy looks awesome! This is difficult as I love them all and to choose just 1 makes it a challenge but I think my favourite is Contemplations, man on toilet, closley followed by the Have a Ball. lovely give away. A difficult choice as I like them all. I think the Remember When series is my favourite, probably because I am a bit "vintage" myself! I hadn't seen the transport decoupage before - can see that being a favourite too as all the men in the family are either train or car enthusiasts! Oh Jak, you are such a generous lady. I love most of the ranges but the Flippin Women are my personal favourites. I have made a few cards for workmates with these sheets and they have loved their cards. They are all my favorites:-> But the Flippin' Women especially spoke to me!! Thanks for such a great giveaway..
Flippin' Women for sure! And thank you very much for this generous giveaway! I loved Flippin Craftin and love all of the Flippin Women. There are some pretty neat ones. Will be looking at all of them. My favorite has to be the Remember When series 6 - everytime I look at those sheets I picture my grandma - she used to chat over the wall - cook us fab dinners - and her sideboard was her pride & joy!!! Oh what memories!! Hi Jak, my favourite is The Transport Decoupage - it is love my son. Thanks for the opportunity to win some fab candy. I've a link on my sidebar. I had a hard time to choose just one decoupage sheet. In each category there's something really interesting. But since I have to choose only one it would be: "Lovely Bubbly!". Because it's a set wich I could make a card for most of my friends, it wouldn't be too specific. Thanks a lot for a chance to win! My favorite is Remember When Series 1 Xmas(Chriatmas) because those were my Christmas memories! Sorry no blog but I'll tell friends about your tasty treats! I love the 'Remember When" series. It's nostalgic. Oh how it brings back memories. I am lovin the Transport Decoupage with the Trains images. My son is a train fanatic and this is something I could use for a scrapbook page for my little conductor! I love the flipping Bare decopauge, it is just so cute! I just love babies with bare bottoms, love all the rolls! Thanks for this chance to win. The Flippin' Men are my fav's. I think they suit any man in any family. Thank you for your generosity. Wish me luck ! I love the flippin women and have just made the Bingo Lady for my mum's 89th birhday (on 24th june). She was so thrilled with it, that she took it to bingo and it was passed all around the hall. My mum lives in Sydney, Australia, so it must be one of the best travelled flippin women images!!! My absolute favourite is the Horse Riding decoupage in Flippin Women - the sight of that huge backside either side of the horse makes me laugh a lot. I should say I am a horserider and have seen this sight at many a show! Jak, what lovely blog candy you have on offer. I have used many of your sheets but I think my favourite has to be one of the Flippin Women – the lady eating her salad with a gorgeous cream cake behind her back!!!. My favourite set is the Flippin Men, the one I love is "Flippin Peace" it takes me back to when I was a child when we used to have an outside toilet. My Dad used to take his newspaper and say "I'm going for some peace and quite", I never understood why he took his newspaper, and why he never brought any peace and quiet back? I know now,ha ha. Ahhh the beauty of childhood. Thanks for bringing back such happy memories. Has to be the Men's one - making men's cards is much harder then women's and children's. Mine is the Flippin WOmen, especially the Flippin Mornings. I guess I like it best because the older I get the more that set seems to match me first thing in the morning. My favourite at the moment, (this can change) is Flippin Women. I love the bubble bath one, it's so versatile. Hi Jak Got to say my favourite is the sepia colliary from the remember when series 1. It depicts an old miner looking on and it says a thousand words about age taking away the ability to work and losing all that goes with it. i like the flipping twist decoupage the best, but i love all the teenager range as the suit everybody. i hadn't seen this range before and will definately look out for it in the future. i really like all the Flippin' series. I love the Flippin' Men range. The traditional 'flat cap and whippets' styling of them is ideal for dads and grandads. I love the Sepia images. I think the Sweet Shop is my favourite. As a child I remember our local sweet shop was like this, but a bit dark and gloomy inside. When you entered a bell rang and an elderly lady with bright red hair appeared from her adjoining sitting room. I was always a bit scared of her, but I can't think why! Mines the Remember When Series and transportation with the steam trains. I remember when I was little I was always having to go and watch them with dad when away on holiday in Wales and being bored. Now years later when my dad's no longer around, I am darwn to steam trains and they brings back loving,fond and happy memories of the times I spend with my dad in my childhood. You are an inspiration to us all. So hard to pick a favourite as they are all fabulous. But if I had to pick one is the Remember When one with the man standing at the bar with the barmaid. Although the images aren't like me and OH, it brings back fond memories of how we met, me working behind the bar and him a customer. Just off to put a link on the Palace Noticeboard. I like the Remeber When series becuase I am old fashioned at heart and these pictures remind me of how things used to be. I love the flipping kids series. They remond me so much opf my boys when they were you. I came across your blog just in a nick of time. It is hard to choose a favorite - I like them all. I guess my favortie would be the flippin men - it is great for grandfathers and men. I have linked you on my blog. I am also giving away blog candy if anyone is interested. For me it would be Flippin' Mornings' from the Flippin' Women! I am so not a morning person!! Thanks fro the chance to win Jak. Love your blog. thanks for this blog candy!! !